I have always loved animals. Growing up in Washington, my friends and I would find orphaned litters of bunnies. We would each take one home, intent on keeping them alive until we could release it into the wild. I get my love of animals from my mom, who one day came home with a Dachshund named Lady. Lady lived a long and happy life with us. We adopted many more "mutts" over the years; all have a special place in my heart. Years later as a single mom, my daughter and I talked our landlord into letting us have a hamster. Then I met my future husband who had quite a zoo of animals (2 legged and 4); a Golden retriever, 2 cats, a bird, rats, a rabbit and a Chinese Box Turtle named Flash. Today we share our home with a young Golden named "Ruby" who made a "career change" from Guide Dogs for the Blind and "Flash", the box turtle. My hobbies include spending time with my family, cooking and going to the movies. Suzanne comes to us after staying at home for several years with her 2 kids. She has a B.S. degree in microbiology, and a worked in several fields, including laboratories, environmental remediation, and environmental health and safety. An avid animal lover, she has a ruby Cavalier King Charles Spaniel, cat, rabbit, and a sulcata tortoise, with past animals including chickens, hamsters and crabs. When not working, she enjoys embroidery and cooking. My name is Alexa and I am 24 years old. I am originally from Union City, California, but I currently reside in Modesto. 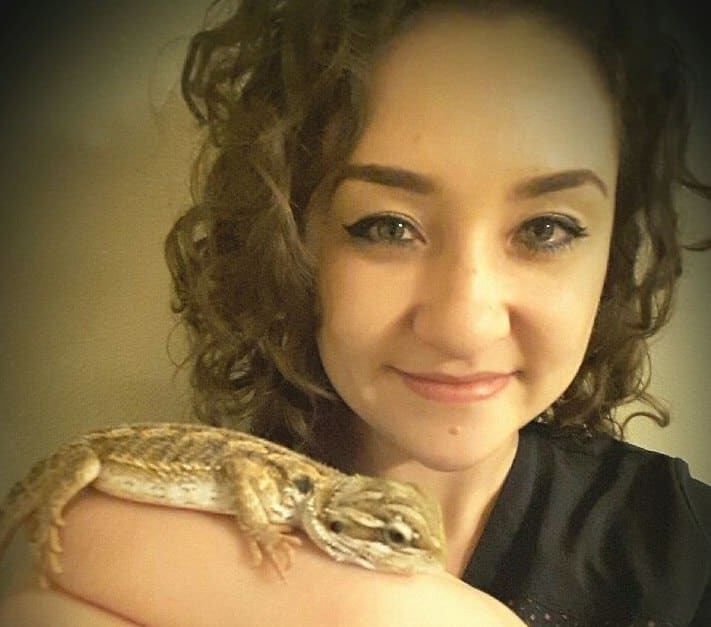 At home, I have 4 fur babies who are all Chihuahua mixes, and also my newest addition to the family is a 3 month old bearded dragon. Ever since I can remember, I was always trying to bring home stray or injured animals to try to nurse them back to health. Driving my parents crazy with all these critters and reptiles was worth it! As a young girl, and now as an adult, my need to help all animals has never changed. I am incredibly lucky and extremely happy to now have a career at the best veterinary hospital where I can do what I've always wanted. 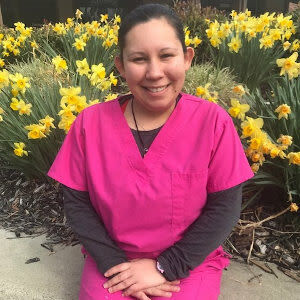 Hey Y'all, my name is Tara and I couldn't be more excited about joining the team at Pleasanton Veterinary Hospital! I look forward to helping our doctors and staff provide quality care for your pets, keeping them happy and healthy. 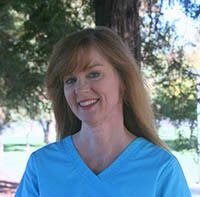 I have been working in the veterinary field since 2007 while attending Las Positas College in Livermore where I graduated with an Associates Degree. I'm currently taking classes through San Juan College in pursuit of my Bachelor's Degree and Veterinary Technician License. I have always been particularly interested in behavior, preventative and internal medicine. My prior experience and education in this career field is what helps me to best serve our patients. My boyfriend and I recently moved into our first house together in Livermore, the town where I was raised. We have two quarter horses named Wyatt and Maverick, both of whom were therapy horses for an adaptive riding program that I taught for, which aided disabled children and adults in the community. In my spare time I ride for the Diablo Ladies Drill team throughout California's rodeo circuit. When I'm not at the office I enjoy taking road trips, rodeos and camping. I'm looking forward to meeting you and your furry family! Hi, my name is Silvana. I was born in San Francisco and soon after, moved to San Jose. From the age of 5, I have always loved and cared for animals. I would always ask my dad if we can have a new pet or if we can adopt a stray. “Can we help it?” I would say to my dad, though we already had so many of our own. I love having a big family with lots of pets from reptiles to cats, dogs and pocket pets. The veterinary field has always fascinated me. It is extremely rewarding to help a sick or injured pet and to make sure that they are doing well. I got my first volunteer job at Turlock Animal Shelter in 2010 and have worked in shelters or with organizations such as Friends of Turlock Shelter and as a veterinary receptionist or technician ever since. I have so much more to learn and I am extremely happy and overjoyed to be working with our amazing team at PVH. Here, I know I will learn all the proper techniques and gain knowledge to advance my career to the next level. Our doctors and staff are always striving for a better quality of care for all of our family pets and we look forward to seeing yours.